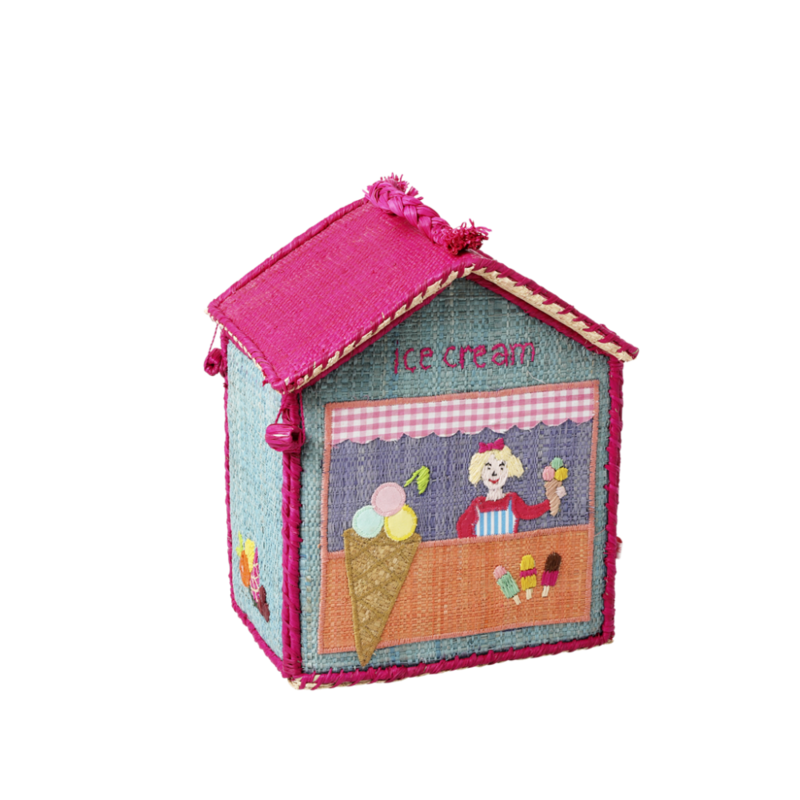 Childs Ice Cream Parlour Shaped Raffia Bag / Storage Basket with a handle and the cutest hand embroidered details. 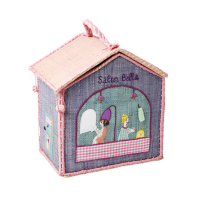 Let your little girl pack and carry her own small toys and secret treasures. 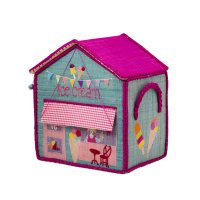 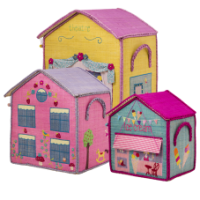 This House is so adorable it will look equally gorgeous in an older childs bedroom on the shelf. 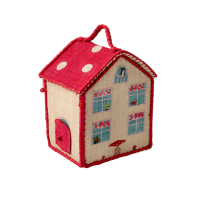 The roof of the house has a a lift up flap, so that the treasures can be put in easily.